How do I bookmark a website in Windows 8? 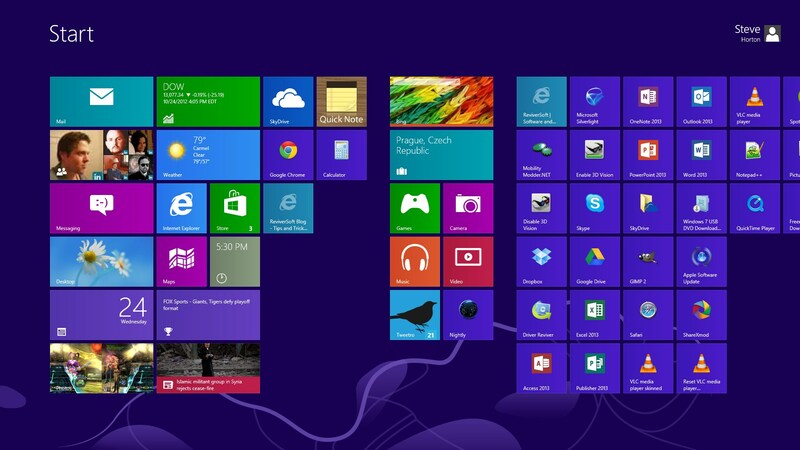 The Windows 8 Start Screen is full of useful tiles. Now, since you probably spend most of your time on the Web, wouldn’t it be great if you could turn a website bookmark into one of these tiles, so you could access it with one click? You can with Internet Explorer 10. There’s a good chance that as other browsers develop their Windows 8 versions, you might see this feature pop up elsewhere. Click Pin Site in the menu. Pin to Start will make a tile appear on the Start Screen. 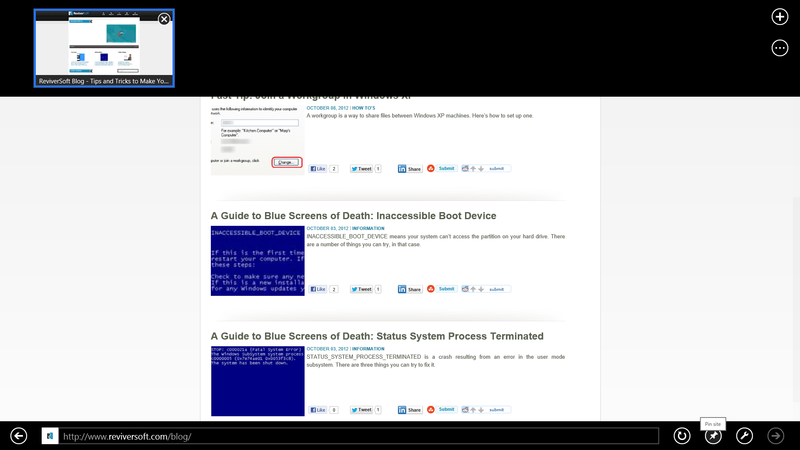 Adjust the title of the pinned site and look at a preview, and click Pin to Start again. Go back to the Start Screen, and you’ll see your favorite site show up as its own tile. Click on the tile anytime to go straight to that site. The ReviverSoft tile toward the center of the screen is the Pinned Site. Pinning your favorite sites to the Start Screen will save a lot of time, especially if you use the Web frequently.